The history of human commerce is littered with warnings about following the herd. One need only look as far back as the most recent stock crash to find evidence of the calamities that ensue when humans panic and act more like lemmings than rational beings. It seems renowned American motivational speaker Earl Nightingale had more than enough justification to observe, "Look at what the majority of people are doing, and do the exact opposite, and you'll probably never go wrong for as long as you live". Of course, one of the most critical skills in business strategy is being able to discern between those times that the horses have bolted in irrational fright and those times that the market is moving intelligently in a new direction. Take, for example, the recent and rapid rise in vessels being retrofitted with marine exhaust scrubbers ahead of the IMO's new sulphur cap in 2020 – is this a short-sighted knee-jerk reaction that shipowners will later regret? Or is this the best way forward? With new emissions standards just around the corner, too few operators have made up their minds about this question, but they'd better do so quickly. And the smart money is on scrubbers. In June 2016, Don Gregory, Director of the Exhaust Gas Cleaning Systems Association (EGCSA) reported that more than 600 vessels had invested in meeting low sulphur standards through LNG or exhaust gas cleaning technology. By October 2018 that number had grown to 1850. Astonishingly, though, 1000 of those sulphur scrubber projects had been confirmed during the preceding six months. In any industry that kind of growth is noteworthy, but given how relatively dormant the interest in scrubbers was for so long, does a sudden boom in demand suggest that new information has entered the market? ...with fuel price differentials between HSFO and LSHO predicted to remain high, retrofitting scrubber systems is, for good reason, becoming a popular solution. Are decision-makers now privy to persuasive data that didn't exist 2 years ago? More like the opposite. After waiting and watching for as long as possible to see what would happen with fuel prices, owners are realising that they can no longer wait for a divine sign to decide their course. They need to act quickly and decisively if they wish to gain a competitive advantage in the age of a 0.5% sulphur cap. And with fuel price differentials between HSFO and LSHO predicted to remain high, retrofitting scrubber systems is, for good reason, becoming a popular solution. The case for installing exhaust scrubbers as soon as possible is compelling: though each fitting requires a significant capital investment, that outlay can be earned back within one-three years depending on the vessel's size. And because returns are linked directly to the price difference between LSFO and HSFO, the earlier an operator adopts exhaust gas cleaning technology the better. LSFO premiums are expected to decline gradually after 2020 as more supply comes online, but in those few years owners who retrofit exhaust scrubbers could gain a significant upper hand. Vessels with scrubbers installed will attract a charter premium as long as fuel price differentials remain significant, and until the technology becomes pervasively utilised. Maritime Strategies International (MSI) further argues that rising scrubber costs and longer installation cycles over time will increase the asset value of vessels fitted with scrubbers in 2020 and shortly after. The business case is strong, but the window of opportunity is a narrow one, possibly only a year or two before the early advantage in fuel price differentials begins to fade. Rather than debating whether or not to fit scrubber systems, owners should be deciding what type of scrubber to have fitted and by whom. Open loop scrubbers are currently the most popular among owners – accounting for 72% of installations – as they are generally the most practical and economical. However, these may become less attractive as more port and coastal authorities impose bans or restrictions on wash water discharge. Closed loop systems have not been favoured (2% of the market) due to greater complexity in fitting and maintenance, while hybrid systems account for the final 22% of projects. The message is that sulphur scrubbers offer operators a powerful opportunity to capitalise on the new sulphur cap, but that they need to be carefully selective about system design, material selection and supplier. Owners who have already made this decision include Frontline, DHT, Star Bulk, Spliethoff and Navig8 Asia. 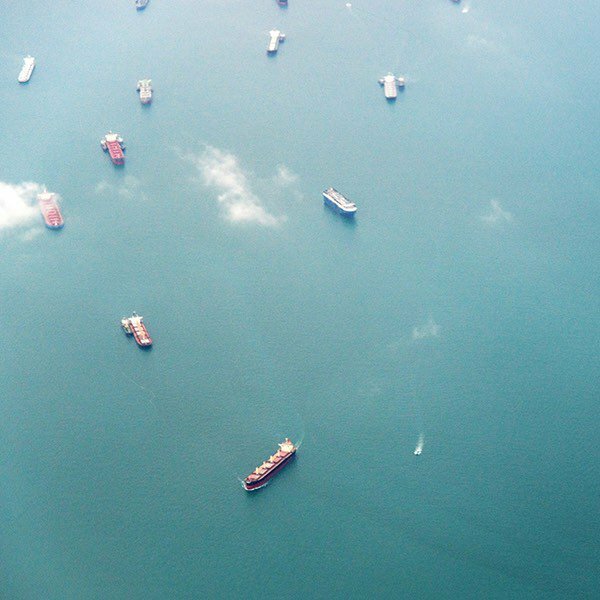 The imminent changes in the IMO's sulphur emission standards are probably the most globally impactful event the maritime industry has seen for decades. Such times are always defined by tremendous uncertainty, but one thing is clear: exhaust gas scrubbers facilitate a massive cost advantage in allowing owners to keep burning HSFO over expensive MGO or LNG.